You'll be £14.99 closer to your next £10.00 credit when you purchase Courage, Blood and Luck. What's this? At about 11:30 on a Sunday morning in 1815, a few shots rang out as the curtain-raiser to one of Europe's most titanic military clashes. By late afternoon, at the close of the Battle of Waterloo, nearly 40,000 men lay dead or wounded. Until that day, the army of Napoleon Bonaparte seemed almost invincible. Indeed, by mid-afternoon, victory for the French seemed a distinct possibility. But the Allied army, led by the Duke of Wellington and ably assisted by Marshal Blücher, finally delivered a fatal blow that not only defeated the French forces but destroyed for ever Napoleon's dreams of conquest and glory, in which he would stand astride Europe like a colossus. Events that day confirmed the Duke of Wellington as a military genius and Blücher as an eccentric but loyal ally. 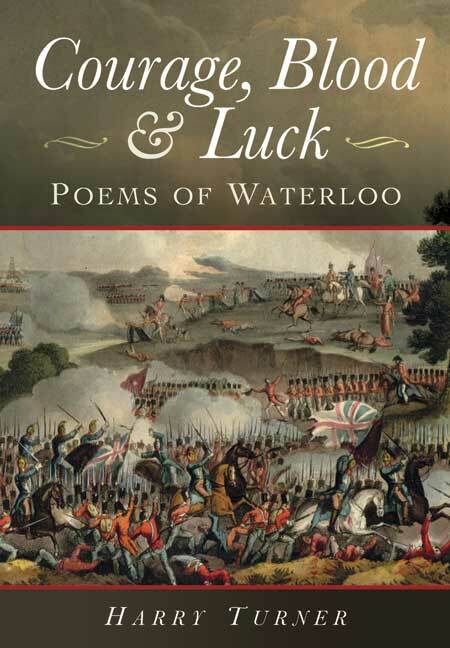 For the British, the Battle of Waterloo was one of our greatest ever victories and the story of that extraordinary day. As featured in Essence Magazine. Harry Turner was born in 1935 and served as a Second Lieutenant in the First Battalion of the Middlesex Regiment (The Diehards) from 1953 to 1955. He was Managing Director of Television South West from 1985 to 1992 and a director of ITN Independent Television News from 1987 to 1992.